"New character enter! Oh! Who is this??" 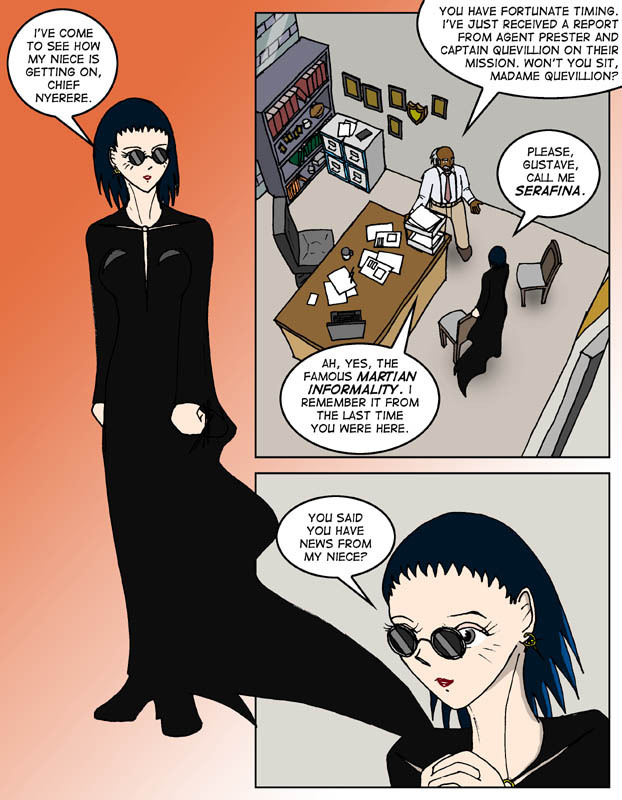 Serafina Quevillion happens to be the Martian Ambassador to Earth, thanks for asking. (I don't think it's giving away anything important to say that...) At this point in time nobody else in the Solar System quite seems to know what to make of the Martians, and I can't help but think that Serafina takes advantage of that perception whenever it suits her to do so.